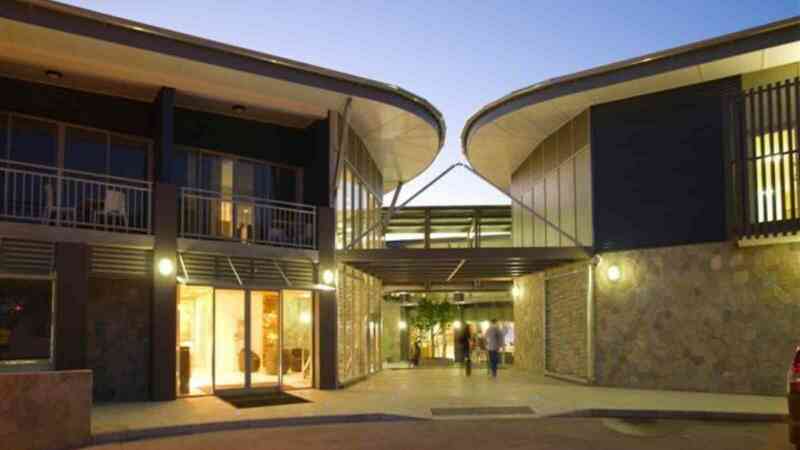 Located on the site of the iconic “Straddie Pub”, the Stradbroke Island Beach Hotel offers hotel suites plus 3 and 4 bedroom fully self contained apartments. Also on site is the Manta Ray Bistro, Waves Beer Garden, gaming / TAB facilities, swimming pool and conference/ function room. 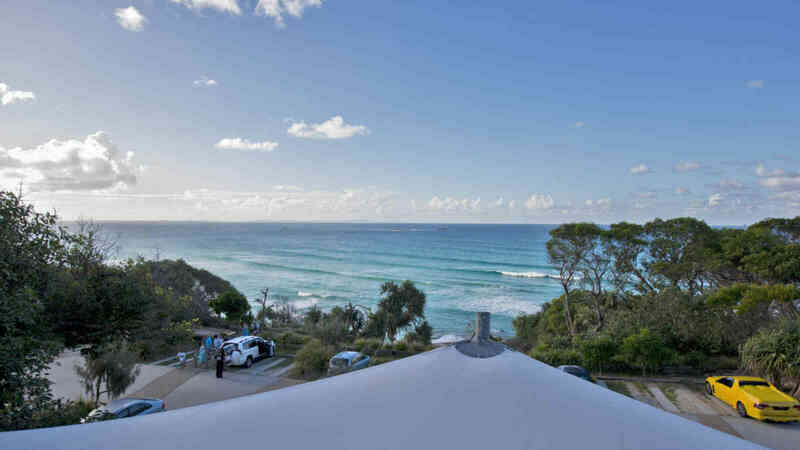 Direct access to patrolled Cylinder Beach is located at the front of the hotel. Standard hotel suite – These do not have an ocean view. There is a queen bed, ensuite, double futon, small bar fridge, tea and coffee making facilities, a TV and DVD player. 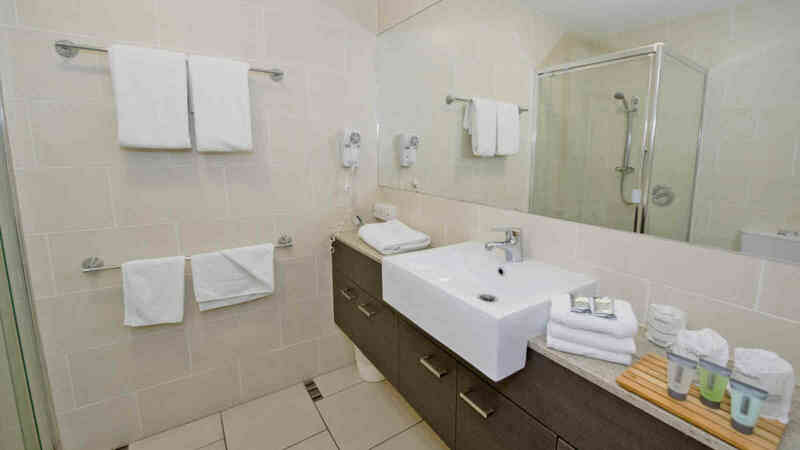 Some of the standard rooms have a bath in the ensuite. Hotel rooms are open plan and do not have a separate lounge area. These rooms also have a balcony. Ocean view suite – These rooms have full ocean views. 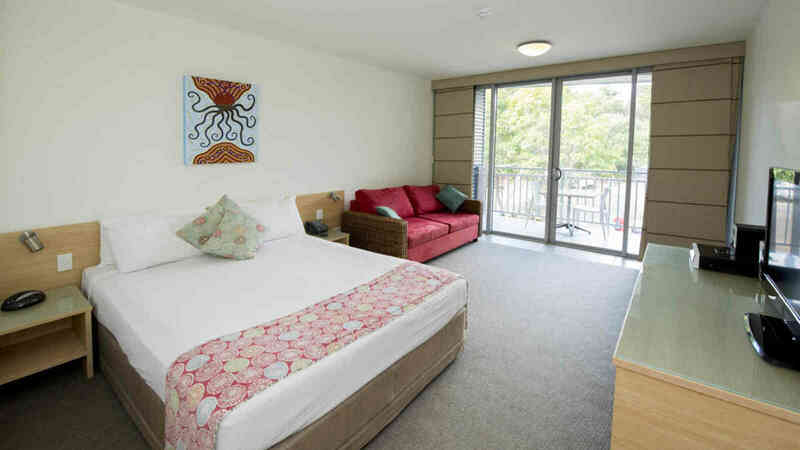 There is a queen bed, ensuite, double futon, small bar fridge, tea and coffee making facilities, a TV and DVD player. These rooms have a bath in the ensuite. These rooms also have a balcony. Garden view deluxe hotel suite – This room has full garden views with ocean views from the balcony. There is a king bed, ensuite with spa bath, small bar fridge, tea and coffee making facilities, a TV and DVD player. Ocean view deluxe hotel suite – This room has full ocean views from inside the room and on the balcony. There is a king bed, an ensuite with spa bath, small bar fridge, tea and coffee making facilities, a TV and DVD player. This is ideal for a Bridal suite. Three bedroom luxury apartment – These apartments have ocean views from the private balconies also from the main bedroom. All apartments are full self-contained. These apartments also have a BBQ on the balcony (charges apply). The bedding configuration will vary between apartments. 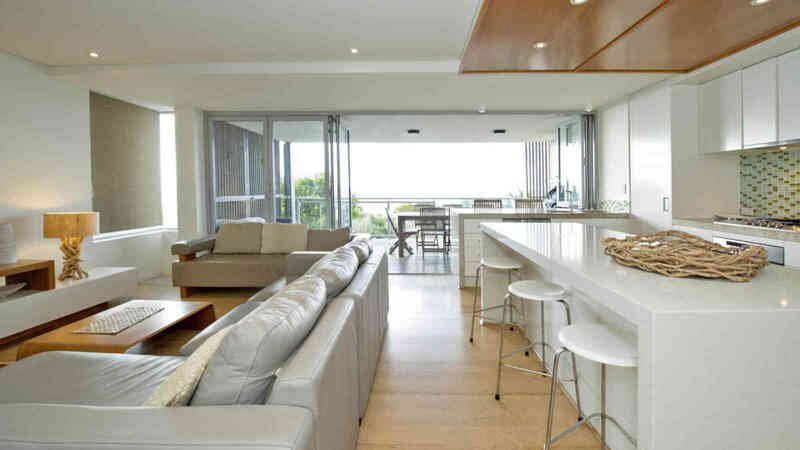 Four bedroom luxury apartment – This apartment has ocean views from the private balcony and from the main bedroom. The bedding configuration for this apartment is: King (main bedroom), Queen (2nd bedroom), Queen (3rd bedroom) and 2 single beds (4th bedroom). This apartment is fully self-contained.